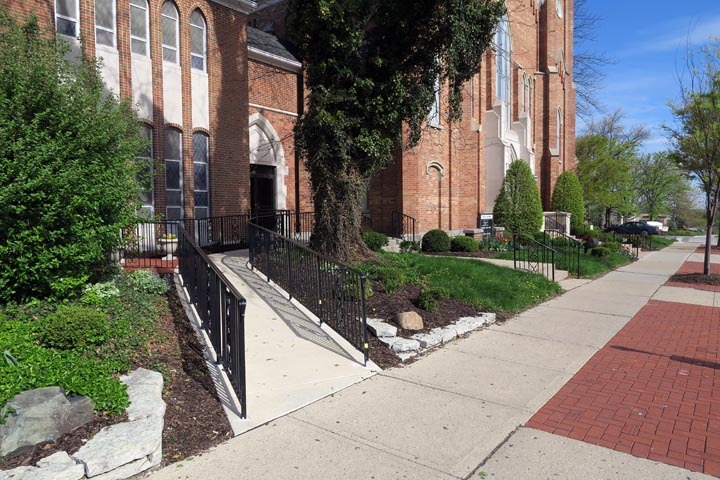 There are a number of handicapped accessible parking spaces next to the church on Church Street and in front of the church on Poplar Street. 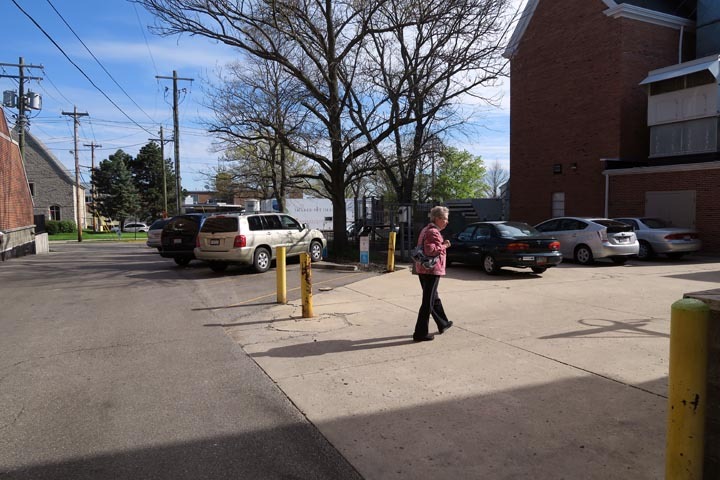 Accessible parking spaces are also available in the alley behind the church on Sunday morning. To find the alley, turn onto North Main Street (route 732) from High Street. Then, turn right onto East Park Place. 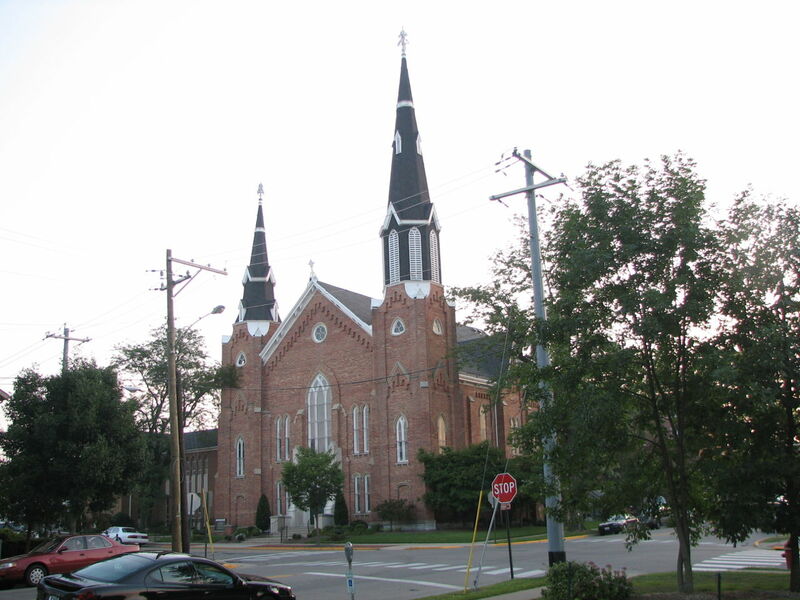 Turn left into the alley behind the church when Park Place veers right. 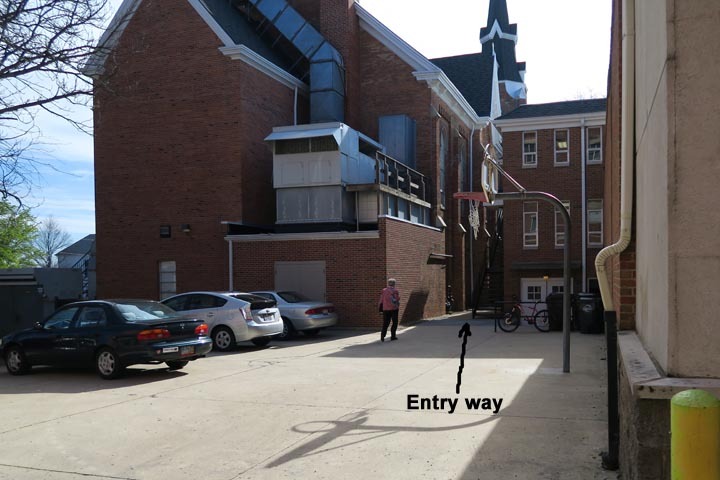 Handicap accessible entrances to the church exist off Poplar Street (front of the church) and from the alley that runs behind the church. 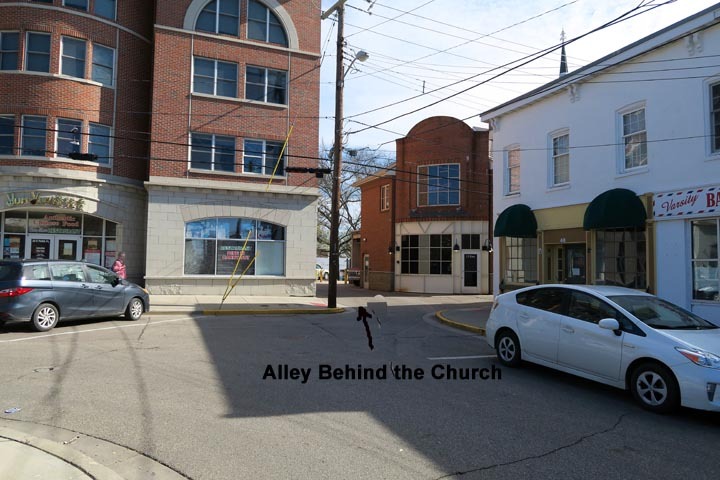 To find the alley, turn onto North Main Street (route 732) from High Street. Then, turn right onto East Park Place. Turn left into the alley behind the church when Park Place veers right. An elevator that provides access to the Christian Education building upper floors and the Main Sanctuary is located just inside the first floor entrance to the Education Building. The entrance is located at the south end of the breezeway connecting the Education Building and the Main Sanctuary Building. Accessible bathroom facilities are located on the first floor of the Education Building and off the Narthex in the Main Sanctuary Building.